Yves here. Even New York City winters aren’t what they used to be. I started living here in the early 1980s. Every winter, there would be at least one two to three day spell when the daily high was below 5 degrees, and often below 0. The last time I can recall one of those super cold (for us) snaps was 1999. I’ve mentioned from time to time that I spent nearly three years in Escanaba, Michigan, including one super cold January, where the temperature didn’t get above 0 the entire month. However, Escanaba is in a banana belt, with on average 70% winter sunshine (similar to what you get in Arizona). So most of my memories of winter in Escanaba are of blindingly bright snow scenes. This entry was posted in Environment, Global warming, Guest Post on January 29, 2019 by Yves Smith. I guess it’s not politically correct but there used to be a bumper sticker in North Dakota, where the weather is very similar to neighboring Minnesota. It said: “Forty below keeps the riff-raff out.” Actually, it’s kind of ironic that the ever-so-fragile youngsters nowadays are called “snowflakes”. damn it Marshall, don’t ruin your credibility with this…even the rimshot guy got up and walked out. delete this b4 archive.org records it. -2° right now here in SE Minnesota, with a forecast of down to -30° in the next day or so. But this is the only really cold week we’ve had, and it’s been insufferably warm most of the winter. I ‘ve lived in Mason City IA since 1997. Lakes used to be freezing up around Thanksgiving. This year I saw my first ice shack last week. One of our first winters here, the high temperature dropped below 32 the first week of December and got above freezing only twice until late February. But as you know nowadays, the first half of January was seriously approaching light sweater weather this year. Also I believe the winter carnival in St. Paul moved from February to January because of the new warmth. “insufferably warm”? Having moved back to Minnesota in May, 2018, after 16 years in southern California, I was thinking, “Hey, this isn’t so bad” until just this week. So I will relish the return of “insufferably warm” this weekend. My California blood needs more time to thicken up. Eventually I will once again become a true Minnesotan. @Sleepy – I’ve recently moved to Mason City from SF – I just couldn’t take the craziness out there anymore (plus I have family members here). 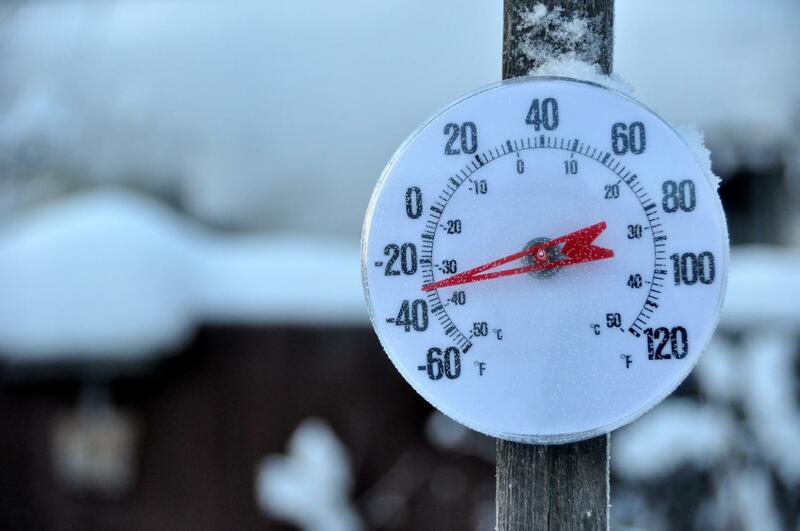 The next two days are forecast to have lows of -30 – -35. Have you ever experienced this here? It doesn’t seem wimpy cold to me. Up until about 6 or 7 years ago it seemed that every winter there would be a period of a couple of days where it stayed below zero. That hasn’t happened recently but it used to seem normal. It wasn’t a big news item. The coldest air temp I believe I’ve seen here is c. minus 26 on New Years day 2010 iirc. The coldest wind chill was back in the early 2000s with maybe something like minus 45 or 50. I think the point is that the current cold spell was considered normal weather years ago. It’s certainly not record setting. What’s really strange is that this winter is one of the very few where it actually has rained. Most times it’s too cold and you don’t see rain from Nov to March. Btw, I moved here from New Orleans and would still take winters here over the wretched gulf coast summers. I also hate the winter colors here more than the cold–brown, white, and grey. After living in Calif. for 40+ years, i’m kind of enjoying the whiteness and the red oak leaves – some of which haven’t fallen off yet. I don’t particularly like the grey skies. I’m looking forward to having seasons – spring is greatly anticipated. I grew up in Minnesota and left when I was 25. I always hated the winters. Sounds like the place is becoming almost livable. Maybe in the distant future retirees will head to Minnesota instead of Florida, which will probably be under water by then. I vaguely remember a 1990’s(?) article that said Duluth, Minnesota will eventually become a “Riviera of the north”. Maybe that’s why Duluth real estate values seem to have skyrocketed. Can it be that all those Floridians are buying up the town getting ready for the future? Another way to get a perspective over time is to move away and then come back for visits up to several times a year. I have lived in central Texas for the past 20+ years but spent the first 27 years of my life in Iowa. The difference over the past two decades is quite noticeable. My retired parents returned from FL for Christmas and it was warm enough for my dad to install a new gutter on the roof. Then on Christmas Day it rained so we were able to check how well it functioned! People are so blind to the changes around them. When I was a kid the lakes would freeze over in December and stay frozen until spring. The small town I lived in plowed roads over the ice that stayed usable until March. Driving over the ice instead of around the lake reduced my dad’s commute to work by 15 minutes for several months of the year. Now you barely even see ice fishing shacks until February and then only for a couple of weeks. There are too many thaws for it to be safe. I remember as a kid my dad taking me out on Lake Phalen in the car to do loop-de-loops on the ice and “test” the brakes. You could get out on your hands and knees and see how thick and clear the ice was, black as the night sky with white air bubbles frozen inside. I don’t miss months of crushing cold in the dark (always hated the switch to standard time and still do) but I miss actual winters and snow. I guess you have to go to Canada for that. If we get snow now it’s gone in a few days. I recall a wind chill of -60 as the only half day schools closed in Nebraska in the 1970’s. I thought it was silly to do so since we walked a couple miles to get there before they sent us home a couple hours later. No amount of snow ever closed schools in the five years ’72-’77 we lived there. This winter in the Ozarks we are on track for burning about half the normal amount of firewood. Hi yooper! I was a troll. (Yooper from U.P. = a resident of Michigan’s Upper Peninsula, a troll is from the Lower Peninsula.) I grew up in Detroit, and in the early 60s remember seeing people drive cars out onto Lake St. Claire to set up ice fishing shacks. Cars were bigger then, too. Wondering if that is still possible. Fayetteville, Arkansas 13 degrees F at 6 AM. Ell Peevians are called trolls because we live ” below the bridge”. As in the Mackinaw Bridge. Below the bridge. . . get it? Growing up in SoCal, sometimes the airdrifts would make walking to school quite the adventure, not to mention occasional localized conditions that brought temps down in the low 50’s and even high 40’s, oh the humanity! Being an SF Bay Area weather wimp, I feel your pain. I’m a transplanted Michigander living in Northern VA. Several hundred of us ice fish Deep Creek Lake in the MD Panhandle. Season used to start around New Years & end early to mid-March. This year it started last week, and last season ended in mid-February. Same changes with Morel season, another important Midwestern core aspect of cultural identity. Insufferably warm – love it. I grew up in the easternmost part of Quebec (essentially the Maritimes) and now live in Boston. I have to hold back cascading laughter when I hear people lamenting the harshness of winter. February is at the door and we have had essentially no snow. Give me a break. I find it quite terrifying, having moved to Boston two years ago. I feel like I’m cooking alive every summer here; I left Florida to escape that. Same here. The trumpeting of wind chills in American media is really annoying. That’s what you do to build viewership and hype weather events if the weather is actually not too bad. If you go to really cold areas, like northern Canada, they don’t bother with wind chills or even reporting the minus sign. “30” is -30 C. If it is windy, then you need to be really bundled up with little exposed skin. If you are in sunlight in the quiet center of a high with no wind, you can have exposed skin and even do things bare-handed (I have done that at -30). Wind chill is an important concept to understand for personal safety, but breathlessly reporting it as an actual temperature instead of an effect on exposed skin is just plain annoying and incorrect. Glad to see you owned up to the banana belt reputation of Escanaba Yves. We who grew up in the Lake Superior watershed have always referred to Escanaba as such and had a special pride in our own chillier winters. I remember is the 50’s and 60’s we would always seem to get a couple of weeks in January with clear skies and temperatures that, on a warm day, would reach into the single digit minus territory from their overnight lows in the -20’s and -30’s. The snow would squeak underfoot on the way to school (uphill both ways, of course). My first year of college downstate I never put a winter coat on, but wore my fall jacket. as I kept waiting for it to get winter. Gotta leave room to escalate your clothing. Marquette also gets all that lake effect snow. Even though Escanaba would usually get several blizzards a winter of 20+ inches of snow, there were also plenty of times that Marquette would get a storm with over a foot of snow and Escanaba would get only 2-6 inches. I’ve lived in Wisconsin my whole life. It rained in January for the first time about 15 years ago. It was so weird that family and friends called to talk about it. January or February rains aren’t that unusual anymore. As a kid we had snow forts and tunnels that would span the whole backyard. We’d work and expand on it all winter. When we get snow now, it doesn’t stick around because we get a (relative) hot spell that melts it all. My kids have a totally different experience of winter than what I did. I miss “real” winter. Cold and gloomy and bare is depressing. Winter should be fun and beautiful. There’s ice fishing, skating, sledding, skiing, snowshoeing, snowmobiling, etc. Those activities require sustained cold and snow, which doesn’t happen anymore, or happens much later in the season. I remember years where it was snowing for Halloween or Thanksgiving. It feels like we’re two months behind in the weather compared to what I remember as a kid. I work with a group of farmers who are in their 60s and 70s. They say there’s no question of global warming. Our growing zone has changed, and there are some plants we can’t grow anymore because pests have moved north (previously the bugs couldn’t survive past Illinois). They say that farming now is like growing in a different state. The timing, plants, and pests/disease pressures are all different. Not too cold, yet, and here in N Michigan, after a slow start to winter, the large amount of lake-effect snow is welcome. When it’s not too windy a X-C ski on some nice single track trails is fun, even with temperature below zero. The pole is shifting towards Europe. Climate is changing as it is wont to do. Here in Saint Paul, they’ve had to remake the local outdoor skating rink twice so far. This week has been a pretty good reminder though that winter in Minnesota can be dangerous and I hope those in need have found shelters. Can’t live like that outdoors – 50deg. There’s nothing we collectively can do about climate change that will make a difference. We’re too small even with our outsized egos, however there is something we can do for those who are living on this planet right here and now. #resistgreeneugenics and feed the poor. The snow level in the Sierra Nevada has been going up in the grip of global warming, resulting in more rain coming down to the Central Valley when it’s not needed all that much in the winter, as opposed to the old regime when it would stay deposited in the first national snowbank until summer came along. We had a storm in early April last year that was pretty freaky, with rain coming down @ 11-12k feet, causing widespread localized flooding all over the backcountry, that destroyed parts of many trails in its wake, as it melted off existing snow. The ‘crash scenes’ I witnessed in it’s aftermath months later were amazing, massive piles of rocks 5-10 pounds each, in the newly created temporary ‘creeks’ they created. I think it was “95” (moved to Minneapolis from Tucson in “93”) that I was trying to wrap up a restoration job. All we had to do was paint two rooms and a little trim. It was the first day of Spring and it was -20º. We couldn’t do it. The exterior facing interior walls on this 90 year old home were so cold that the paint wouldn’t even stick. We had to just clean up and go home for the day. Probably ’96. It was below zero in March of that year in MN, and Feb 2nd of that year the air temp at MSP was -32. In Tower it was -60, and set a record for the state. Good times. As a former Iron Ranger, Grand Rapids is not the coldest spot. Its easily Embarrass MN in that low spot there, though International Falls likes to claim the title. I grow Grapes in Brainerd, MN and have the furthest north commercial grape vineyard in the state (that I know of). I had the best Brix, Acidity and PH ever last year. I used to think I would be like the champagne region of MN, but maybe I will ended up like Lodi. This current snap of cold will leave me with some winter bud damage. And a few years ago we had a week of -35 lows and major bud damage (made worse by lack of snow cover). Frustrating as these are, they are maybe anecdotal, and the trend is there. Yes, it rains in December now (really sad) and as outdoor industry professional, the biggest changes are in the quality and safety of ice at times of year that we used to take for granted. Trucks and four wheelers through the ice are much more common, 12-20 inches of good solid ice isn’t the same as 16 inches that has been rained on, frozen and rethawed several times a year. The trend shows itself best on the the ice on lakes. Thank you..I am not sure why he picked Grand Rapids…maybe it has the longest/most reliable weather observations. The most important image is annoyingly sideways, otherwise very good. The cold there must be a cultural thing. Saw a series once on the life of John Adams, the second President. In one part he was admonishing his very young son, who he was sending to Moscow on a mission, not to show being cold as he was a good Massachusetts man who was not supposed to feel the cold. Not the same State of course but I imagine the idea was the same. Yup! I remember well a -80F windchill (-62C) windchill in the early 2000s in the Berkshire Mtns. of western MA. For what it’s worth, places like New England, upstate New York, and the Upper Great Lakes actually have a very similar climate to Russia and Scandinavia. Apparently this is not common in other places, but both New Englanders and Russians like ice cream in the winter (“I got everything I need faw the stawhm,” said the Town Clerk to me. “Milk, bread, eggs, ice cream….”). Interesting isn’t it, then when the issue is lowering the living standards of the average person, “Global Warming” is a dire threat and we need to reduce per-capita CO2 production or we are doomed. But when the issue is increasing the population and increasing total net CO2 production then global warming is not an issue, growth is good we need more people and more trucks and more power plants etc. or the economy will collapse. In this case we can’t even mention global warming, because that would be racist and fascist and Literally Hitler. For example: right now Canada has about the highest per-capita greenhouse gas emissions on the planet, but total CO2 production is negligible. If the entire world were like Canada, global warming would not be a problem. However, the Canadian elites are moving to increase the population of Canada to 100 million plus. This will likely reduce per-capita CO2 production, but absolutely will greatly increase total net CO2 production. Which is all that matters to the world. But in this context, no, global warming is not an issue you nasty racist you. Let’s hope that, somehow, the earth can deal with increasing amounts of CO2 production. Because the “green economy” stuff we keep hearing about is a con job. It’s about putting a smiley face on declining standards of living as the elites cram ever more cattle into the herd. LIfelong Minnesotan. Plenty of cold weather memories, like standing on cold mornings on a corner near grade school with my stop sign flag as a school safety patrol boy. With my cheap boots my toes would freeze and I would not feel them again until about a half-hour of sitting in the classroom, and then only after going through the stinging stage. I also like how on really cold days the smoke coming out of a smokestack gets pushed down by the cold air and only goes sideways. Also how different the jet planes flying low near the airport sound when it twenty below. My friends in St Paul, MN, have been complaining to me for years about the warm winters there. They used to enjoy X-country skiing around their neighborhood and elsewhere. Said they haven’t been on their skis once this year, and that it’s been the “new normal” for quite some time now. The Giant Forest in Sequoia NP is aptly named, as a dozen or so of the biggest trees in the world staked a claim there, and is wonderful to tour around on 3-pin Alpina X-Terrain skis, that have a scalloped bottom that provides enough traction to go up hills, but the storms are too warm, and what little coverage there is, has plenty of stuff either breaking the surface or just underneath, yuck. Of the 8 last years including the drought skein, we’ve only been able to ski 2 years there. You left out the best part, it is supposed to be in the mid to high 30’s by Saturday. That is a 70 degree swing in 3 days. I’ve noticed the same phenomenon here in New England. Winter has become more like a weird perpetual spring, but with periodic eruptions of frigid arctic air that confuses the hell out of the daffodils. I heard frogs last week! What the f___? I am in my 30s. I’m not that old. Yet the winters are just a world of difference from the winters of my youth. We used to be ice-skating by Thanksgiving. Now we’re lucky if we can get a few days of cold together to safely freeze up the ponds and cranberry bogs. I used to go cross-country skiing all the time, we’d have snowpack from December through March. Not any more. I remember the (saltwater) bays being frozen over by Dec. 10th or so. Now it’s a month later and very intermittent. And alas, the Gulf of Maine (from Nova Scotia to Cape Cod) is one of the fastest warming bodies of water in the world. One square foot of heavy snow can weigh over 100 pounds. Multiply that across your entire roof and then hope it doesn’t snow again until this storm melts off a little. But then it snows again 3 days later and now it’s double the weight. The house doesn’t creak, the roof is built for an occasional dump of snow, but it’s old and I worry. There is a small crack in the wallboard but it’s been there for decades. The house is extra quiet. Muffled. I drink tea for a while. Then I shovel off the deck. The sun comes out. It doesn’t get any warmer than 20 degrees. Nothing melts for another 10 days. This happens at least once a winter. Lately twice. That “river in the sky” now pushes all the way over the Sierras and the Cascades and still leaves two feet in the Rockies. So my memories of snow as a kid are of much smaller storms. But colder. Well said, Susan. Last year here in mid NM high desert we had no snow at all. This year, two big storms close to one another, same deal as you. Lots of overcasts, which sends the temperature down; sun, and it is way too hot. The snow was good though; we needed the moisture and for now we have it in the ground still. My crocuses have popped out. But last year for the first time my tulips failed. They budded, but the buds shrivelled in the oncoming heat. I’m leaving them heavily mulched this year. As someone born and raised in the burbs of Minneapolis, no matter how you cut it this is still dang cold (wind chills of 65 below) and air temp -32….Most if not all schools closed till Thursday, and many businesses….Some are trying to attract business with: We will give you a discount at the exact degree you come in. Hence: -21 will earn you a 21 percent discount on your food. Gas stations have new Polar Vortex hours on their signs: 8am to 8pm only. I took a detour in my early 20’s and lived in So. Cal for 20 years but returned…. Yes, our four seasons are definitely not as predictable as I remember as a kid. These “stuck” systems are what concern me….Stuck as in rainy periods that don’t kick on out of here from the Westerly winds etc. As I have gotten older I do appreciate these warmer winters, primarily to be able to walk the dog on a regular basis. Not this week. This Minnesota cold is necessary if we want to keep at bay the plague of invasive species brought by globalization, particularly the emerald ash borer, and the spotted wing fruit fly, Drosophila suzukii. This last one is the worst of the lot. Most fruit flies can’t lay eggs in fruit until it is over-ripe. The Drosophila female has a serrated ovipositor, which means she can cut into not-yet-ripe fruit, namely, raspberries, blackberries, blueberries, plums, cherries and peaches. Last year my black cap raspberries were infested with maggots. I went to college in Winona MN in the early 70’s and it was indeed much colder then. I remember my freshman year the snow cover did not melt off until the middle of April. My last year there I lived on the Mississippi river and we could ski across the river – the ice being 12 – 15 inches thick. Down river people would drive pickups across it to go ice fishing in the backwaters and sloughs. Fast forward to 2004 I was in Minneapolis for a few months and I remember it being fairly warm up through January, then only a few days of the -20 weather and very little ice on the river. What a difference 30 years can make. It seems to me the whole climate of Minnesota has become more moderate. The winters are not as cold, but the summers are not as hot either. And the falls and springs seem longer. Can’t find a general-interest version of it, but there is a small body of literature on how irrigated agriculture cools the Upper Midwest. Check out Figure 4b in particular. If you take out agricultural land use in a regional climate model, Midwest summers get significantly warmer, particularly afternoon high temperatures. Remember Fred Thompson, who was in the running for President during the 2008 election cycle? He shot himself in the foot in late December 2007 in Iowa when he said something like “what global warming? Iowa has freezing rain right now for crying out loud.” Poor Tennessee guy didn’t realize that freezing rain in December is a sign of normal-to-unseasonably warm weather. Had the nice side effect of knocking him out of the race. I’ve been in the Rochester MN area for 50 years, with ancestors in the area since the 1850’s. From K-12 in school I’m pretty sure we never had a single snow day or ‘cold’ day. The story when I was in high school was that if the Superintendent made it out his driveway, school wasn’t cancelled. He had a 4-wheel drive Suburban. Times it got really bad and buses didn’t run, my Dad would take us to school in his wrecker with chains on the back wheels. My dad has a picture from when he was a kid on the farm and the snow drifted nearly to the tops of telephone poles. Several years we had significant snowfall in April. I have relatives up here. Close to record cold. This is weather, not climate, but make of it what you will..
On April,25, 1975 Time magazine published on article about scientist’s hatching a plan to put soot on the Arctic ice sheets to prevent another Ice Age. The polar bear population is actually growing now, rather than dwindling. The climate is changing. If one believes that the Earth is 4.5 Billion years old(like I do) I am guessing that the Climate has changed, maybe, 3 or 4 million times (or more) during this stretch of time. The sun is going through a cooling cycle now, and I am guessing if it continues to do that we are in very deep do-do. The production of CO2 HELPS grow plants, thus increasing FOOD supplies for the Earth’s ever increasing population. If humankind IS responsible for this changing climate, then the solution is quite simple. Anyone care to supply the answer? It’s an inconvenient truth: we need to eliminate 95% of the population. This is what Ted Turner has advocated for quite some time. I believe that next 30+ years, if the sun does continue to cool down, “Global Warming” will be the least of our worries.